Like our name implies, at Stuft Burger Bar and Poutinerie we are all about creating sensational burgers and poutines that will leave you feeling happy and satisfied with each mouth-watering bite. Savour one of our chef-inspired specialty burgers; or customize one of your own with our multitude of fresh toppings, and with sauces that will captivate your tastebuds! You don’t need to go to Montreal to relish in the delights of an authentic Canadian poutine because Stuft Burger Bar & Poutinerie serves the real deal right here! We begin with fresh-cut fries and Quebec cheese curds; where you go from there is up to you! With your choice of gravy, toppings and sauces – you can customize until your heart is content; or enjoy one of our own creations that will leave you wanting poutine everyday! Then wash down each mouthful with one of our many local micro-brews to choose from, while you catch the score on one of our big screen TVs. Seriously, can it get any better than this? So bring your friends and family and come get Stuft in our relaxed, family-friendly atmosphere where we boast the best burgers and poutine anywhere! Stuft Burger Bar & Poutinerie is located at the epicentre of Fredericton – at the corner of Regent and Prospect Streets, in the iconic City Motel! 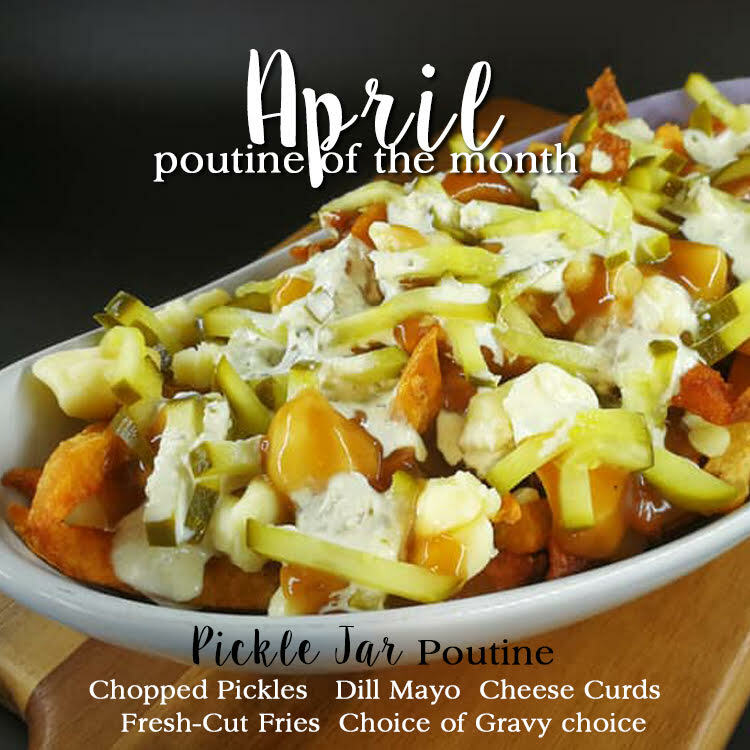 We feature our Burger & Poutine of the Month, and other special promotions and giveaways on social media; so please be sure to Like and Share Stuft Burger Bar and Poutinerie on Facebook, and follow us on Twitter and Instagram! Stuft is open for lunch on Fridays and Saturdays by popular demand – and very soon you will be able to enjoy Stuft for lunch other days of the week as well (wink, wink)! That’s right – but that’s not all! From 11:30am opening to 2pm you can reap the rewards of our lunchtime special and enjoy our Stuft Traditional Poutine for only $7.99!!! Where else can you get a traditional, all Canadian, Montreal quality poutine made with fresh-cut fries, Quebec cheese curds and house-made gravy for that price? 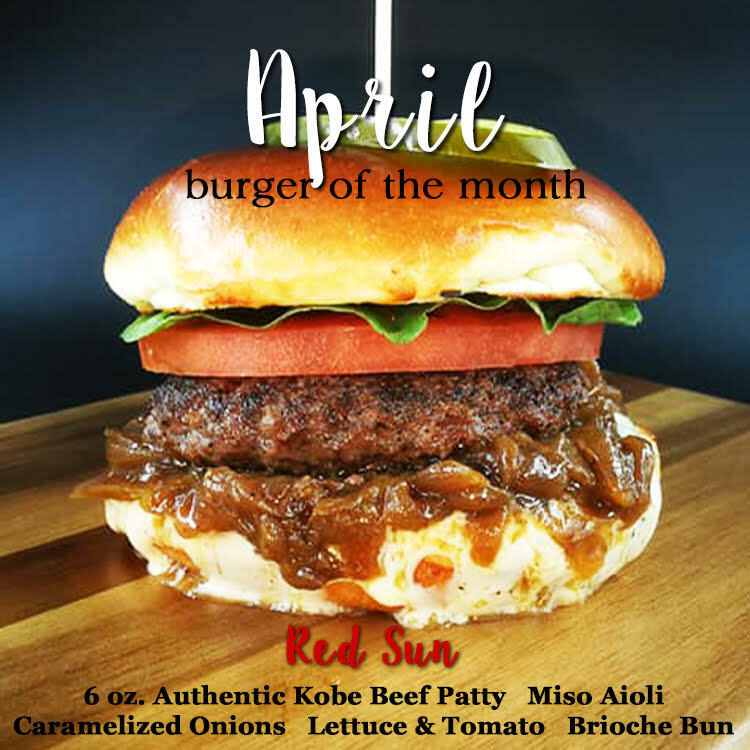 Only at Stuft Burger Bar & Poutinerie, my friends! The YFC Burger Battle 2019!! 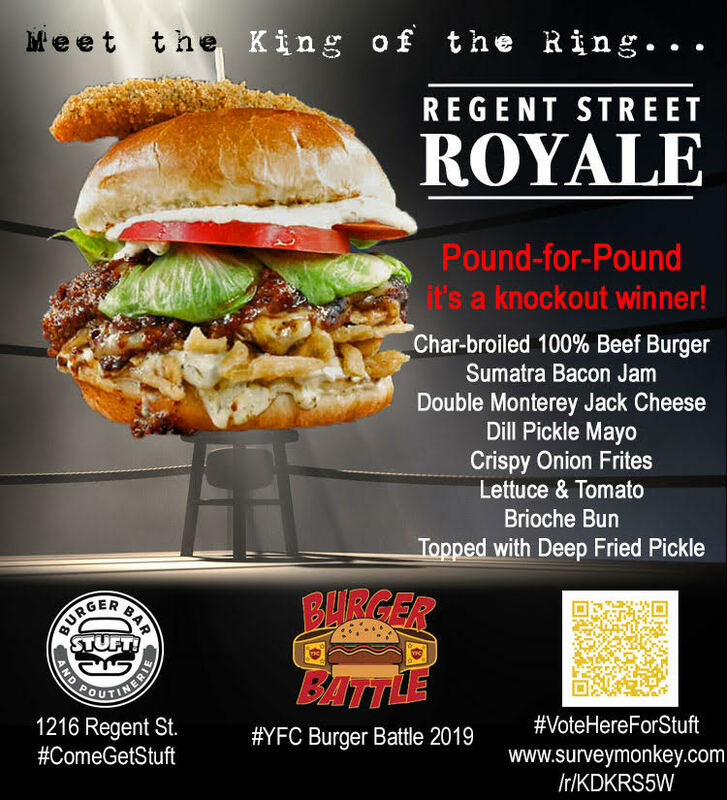 Stuft would like to thank all who participated in the YFC Burger Battle 2019 by trying the Regent Street Royale and giving us the support of your vote! 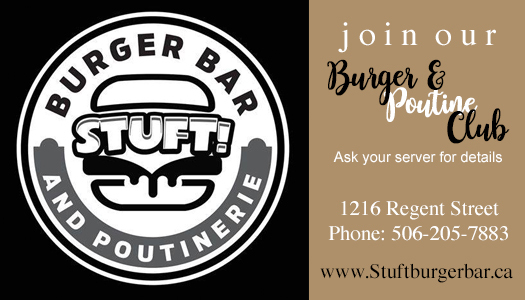 We value your patronage and invite you to join our Stuft Burger & Poutine Club! After your tenth burger (or poutine) purchase, you’ll receive a free burger or poutine on us! *Some restrictions apply – ask your server for details. 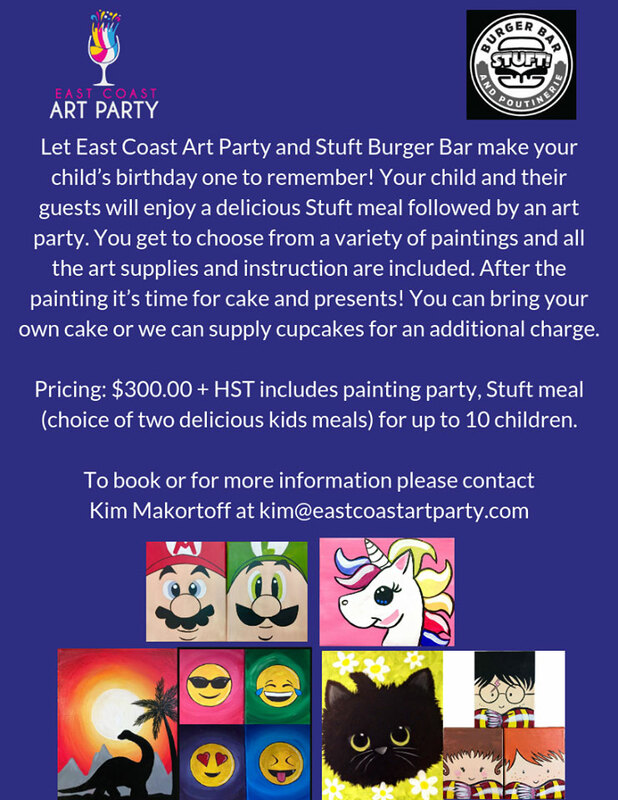 Stuft Burger Bar & Poutinerie is very excited to announce that we are partnering with the extremely popular East Coast Art Party to offer children’s art parties at Stuft! Let us take the stress and hassle out of planning the perfect party for your child, while giving him/her a birthday party to remember!